Racor RK11-1969 Vacuum Gauge and Kit complete with seals. Replaces stock T-Handle. 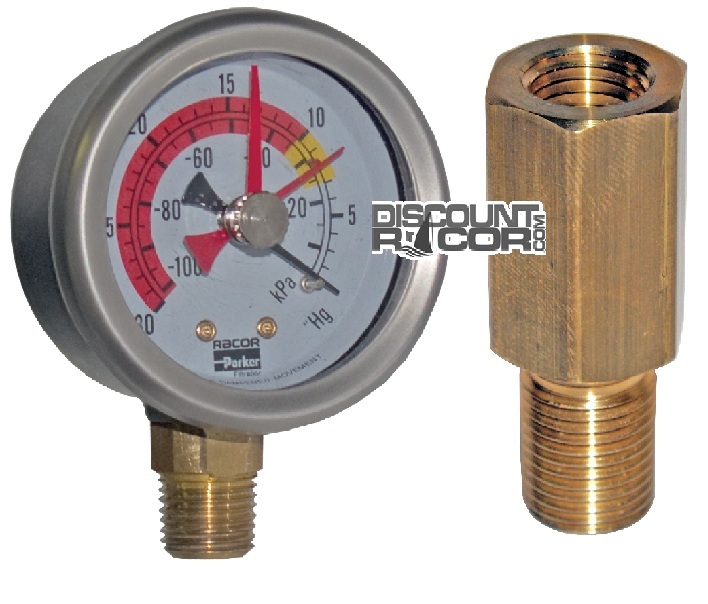 The Racor RK11-1969 Vacuum Gauge and Kit is very popular with use on the Racor 500 series Turbine assemblies. This item comes complete with seals and is used to replace the stock T-Handle that comes with your turbine assembly. This gauge allows visual monitoring of fuel element indications of performance.